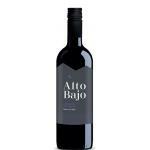 The Alto Bajo Merlot (£43.08): a red wine from Central Valley produced by Alto Bajo that is made with merlot. Uvinum users rate this red wine with 4 out of 5 points. Alto Bajo Merlot has intense aromas and flavours of ripe plums, sweet spices, coffee and chocolate. It has a soft and smooth texture and a pleasant finish. 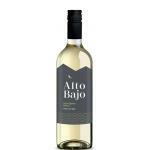 If you want to buy Alto Bajo Merlot, at Uvinum you will find the best prices for Central Valley red wine. Buy it at Uvinum, wherever you are via all your devices. We have over 59.000 products for sale converting Uvinum this way into a leader in Europe thanks to more than 38.000 customers who trust us.